The Sasta Taiga Ventile Jacket is made from 100% Ventile®, which is a high performance, hard-wearing weatherproof cotton fabric. 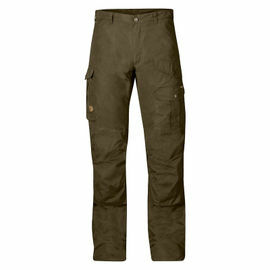 This garment excels in hunting, skiing and trekking situations, but is just as suitable as an all-round outdoor jacket. This fabric is an entirely natural product that offers a unique level of protection from rain, while also being windproof, highly breathable, very durable and quiet. As such, Ventile® is seen by many as the ideal fabric for demanding outdoor use. 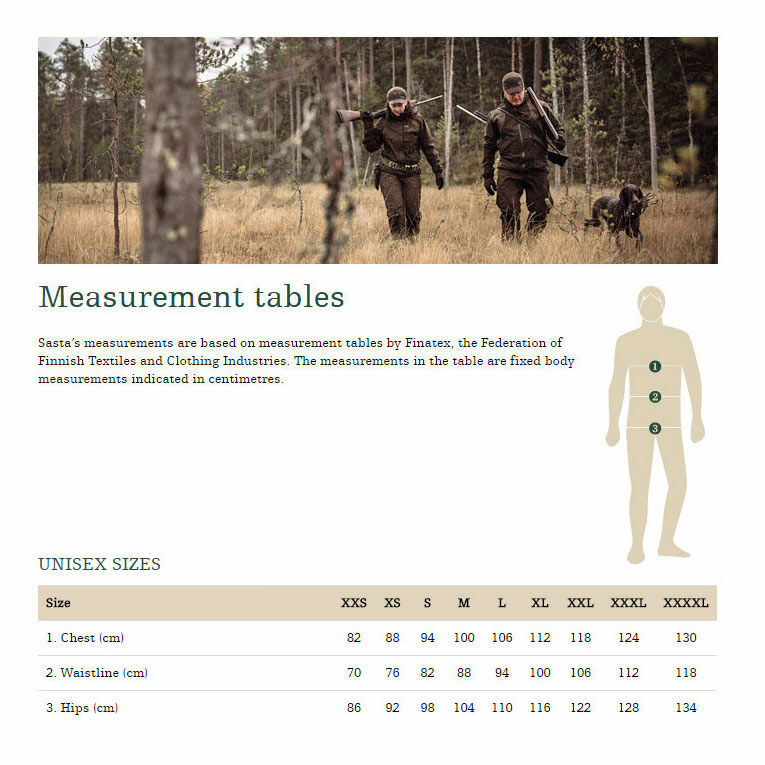 The combination of a dense weave, along with the swelling properties of the fibres when wet, provides excellent weatherproofing in a garment made from 100% cotton. 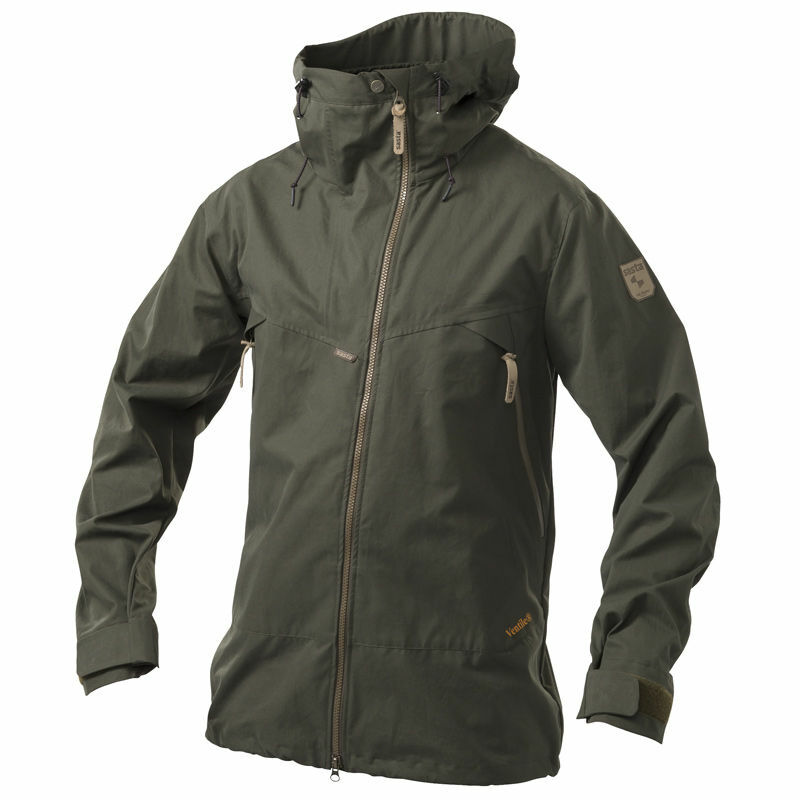 The Sasta Taiga Ventile Jacket is very similar to the Sasta Peski Ventile Anorak offered by Woodlore in terms of material, but with this full length zip design it offers you a great alternative with the ability to put on and remove the jacket swiftly with more ease. 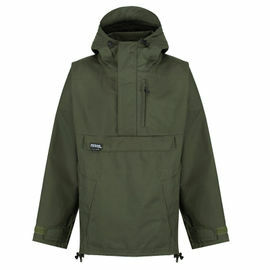 Sasta Taiga Ventile Jacket - Dark Olive is rated 4/5 based on 6 customer reviews. I've been using this jacket on and off for the past 8 months, through the bitterly cold February and March of 2018 and then Spring, Summer (didn't need it much this year!) and now Autumn. It is a good quality, comfortable and quiet jacket. It's been used for short and long walks and for watching wildlife. 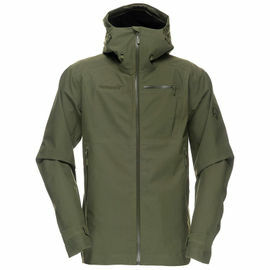 It copes with the wind and light rain perfectly and its breathability is better than any other jacket I own. I don't find myself getting too hot when I'm moving around (most jackets I end up removing as soon as any rain stops). When wet the fabric swells and stiffens which is a rather odd experience initially (the jacket can literally self support its own wait when placed on the floor). To reiterate what has been mentioned previously though, the Ventile cotton is not 100% waterproof (it's not supposed to be). I was caught out in pretty horrendous torrential rain and the nature of the fabric did allow some water to get through - although we are talking minor leaking and I was by no means wet! In light rain it works no problem at all. Overall I'm very happy with the jacket so far, it is clearly a well made product with a lot of thought gone into its design. 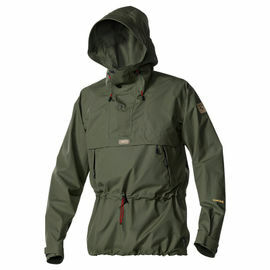 It is currently my go to jacket when heavy rain is not likely to be on the cards. Hope this helps. Really well made, solid, well-cut, stylish, practical piece of kit. This jacket oozes quality, the stitching and finishing are excellent, the shape is flattering yet allowing great freedom of movement. The fabric seems very robust but not overly heavy and there are some great little details, like small reflective strips on the backs of the cuffs. I have no doubt that it‘ll still be going strong in more than twenty years time and I anticipate that it‘ll gain a great patina as it ages. I‘m a newbie to Ventile, I have done the rounds over the years with eVent, GoreTex, cuben fibre and all manner of man-made fabrics (mostly PU) with varying coatings, although this is early days I haven‘t yet had a chance to see how the jacket properly fares against the elements. From the reviews I‘ve read I‘m sure I won‘t be disappointed. In short am happy so far, I am looking forward to discovering how this jacket fits into my clothing arsenal, how it fares out in the wild and which conditions make me reach for it above others. Sizing dos not seem accurate. I have a 44 inch chest so I chose XL, but it feels like it was made for a 88' chest and 100' belly. Very baggy and loose so there is room for at least 3 layers there. I can wear a goose down jacket under this. Maybe I should have chosen size M. Its a thin single layer jacket and the quality of the Ventile fabric feels good. 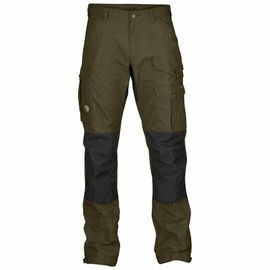 It has taped seams and is able to protect you from wind, a little bit of rain and sparks from a cosy camp fire. It seems tough and durable. Time will tell. 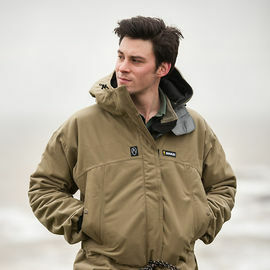 Had this jacket for a few months now, I like the fit and simplicity of it, nice and light , perfect for cutting about the outdoors with the dog. It's marketed as being weatherproof, the seams are taped as well. Waterproof it isn't, couple hours of rain and it leaks pretty bad. My hilltrek single layer ventile smock never leaked. I'm kinda torn between the good fit but terrible waterproofing. I'd give it a miss if you need a waterproof. 330 pounds never worth it. Great service from woodlore as usual though. Dear Vernon. 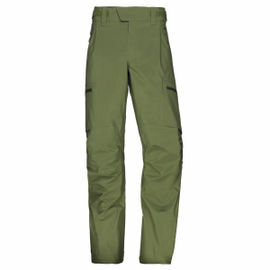 Thank you for your review, the Ventile material is not waterproof but is weatherproof. The natural characteristics of the fabric means it swells when it gets wet, while this happens it remains breathable, wind proof and quiet. 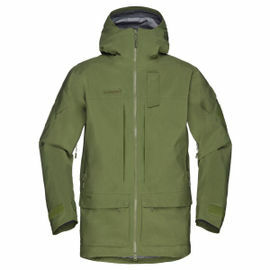 A super jacket, with a roomy hood and large pockets. I was really pleased with the Ventile fabric, as breathability is important to me when considering outer shell jackets. The hood is huge, with a super peak to keep the rain off my glasses. My only minus point (and it's a small minus point) is the lack of storm flap or rain-proof zip for the main zipper. I haven't had the opportunity to walk into driving rain yet, so I can't say if it will leak, but a storm flap would have made it more secure. But nonetheless, very pleased with the jacket overall. Is this Jacket single or double Ventile?